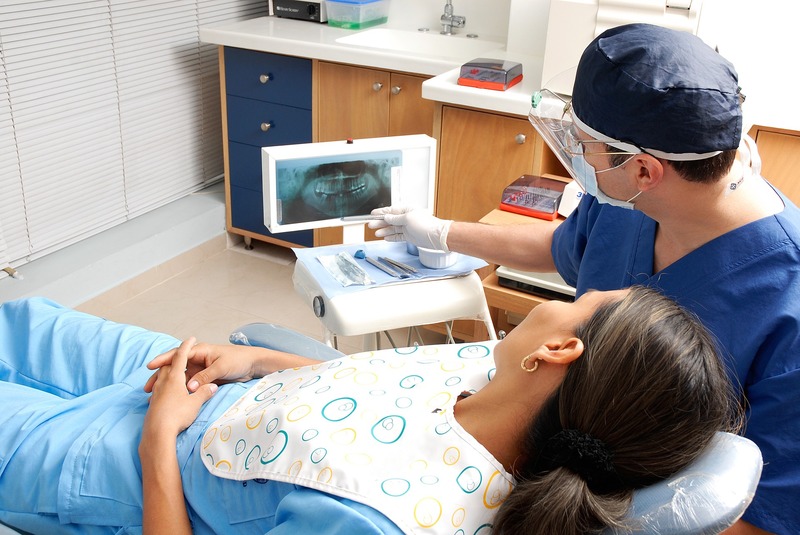 At most dental offices, x-rays are common practice with a dental care plan. These x-rays allow dentists and technicians the ability to monitor the health of a patient’s mouth and make it possible to spot potential problems before they become more serious issues. Patients and technicians may be concerned about the amount of radiation they receive from routine x-rays. The cumulative effects of radiation from dental x-rays in the lifetime of a patient or during the course of a technician’s career of taking x-rays should be monitored. The World Health Organization's International Agency for Research on Cancer (WHO/IARC), the US National Toxicology Program (NTP), and the US Environmental Protection Agency (EPA) all classify x-rays and gamma rays as known human carcinogens, and the EPA sets limits for exposure as a result. In large quantities, x-rays have been shown to cause cancer. However, the effective dose of radiation from medical procedures is very small, and any increased risk of cancer is difficult to measure. A computed tomography (CT) scan of the abdomen and pelvis provides one of the highest effective doses of radiation, at about 10 mSv. Most other x-rays provide only a fraction of the effective dose, and dental x-rays provide some of the lowest effective doses of radiation of any medical x-rays. A standard intraoral x-ray provides just 0.005 mSv – the equivalent of a single day's worth of background radiation. According to the US Food and Drug Administration (FDA), 10 mSv, or the effective dose of radiation from a CT scan of the abdomen and pelvis, might be enough to increase the risk of cancer by about 1 in 2000. The health risks from medical x-rays are so minimal that it is difficult to study them. However, the American Cancer Society does note correlations between people who receive repeated x-rays to one part of the body and who later develop cancer. Giving x-rays only when necessary. Many dental offices perform yearly bitewing x-rays, yet the American Dental Association recommends these be given to healthy adults every 2-3 years, those with an increased risk for cavities may require them more frequently. Upgrading to a faster image receptor, which can reduce radiation exposure by 20 to 50 percent. Supplying technicians with personal dosimeters such as the Instadose+ badge which can measure and track cumulative radiation exposure. In general, the risks of negative health effects as a result of x-rays are extremely low compared to the benefits they provide. However, it is crucial for both patients and staff to be aware of the risks and take steps to minimize them wherever possible.